This is singlehandedly the most amazing picture of 2012. 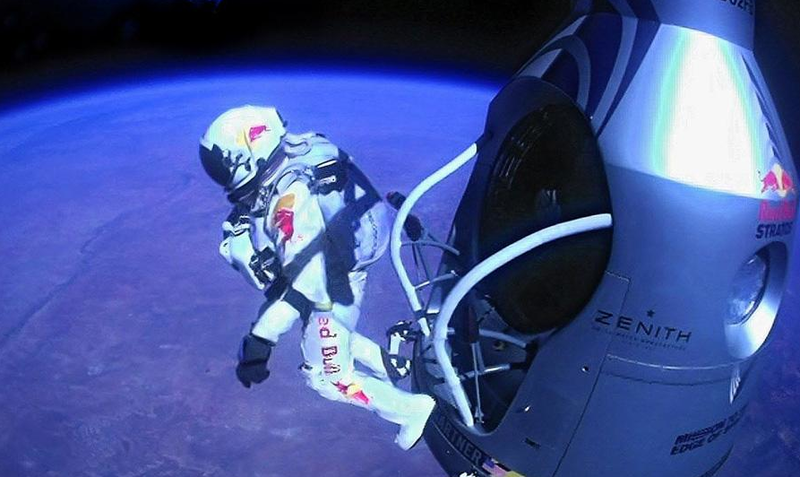 Felix Baumgartner, an Austrian expert skydiver (coolest title ever), jumped from the edge of outer space yesterday, and became the first person to break the speed of sound unassisted by mechanical force. It was just Felix and gravity. He jumped from 24 miles above the earth’s surface and ended up falling at over 800 mph. 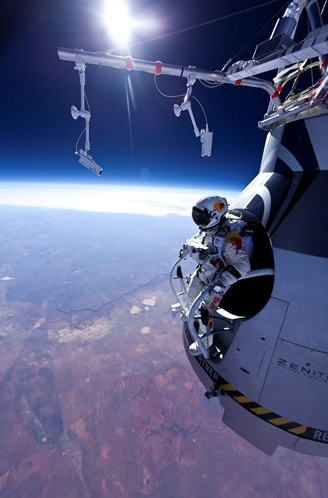 The Red Bull Stratos project inspired the world yesterday. Surely such a feat of human engineering was directed by NASA or the federal government. The entire thing was brought to you by… an energy drink? In what has now set the bar for the greatest marketing effort in history, Red Bull shot for the stars with this one (bad pun intended) and funded the entire mission, from research and preparation, to execution and broadcast. To say it paid off is a massive understatement. Companies today pay millions of dollars to broadcast or print advertisements for a few seconds that most people ignore. Over 8 million people around the world directly participated in the event – and had to make an effort to do so – that had Red Bull logos everywhere and reinforced Red Bull is more than a company or product, it is a lifestyle that you want to be a part of. For a company with the slogan “Red Bull gives you wings”, is there any better marketing stunt? Best of all, not one part of it felt forced. It is a part of their DNA. Can you imagine if Chevy did this? It wouldn’t feel authentic. There are some great lessons that can be gleaned from this experience, for all companies, as Web Smith points out. While Red Bull spent a fortune on this, it was in such a pioneering way, the return on investment is far greater than an equal, or greater, sum spent elsewhere. They were also certain to prime the (worldwide) audience for a long time leading up to the event, ensuring maximum exposure. 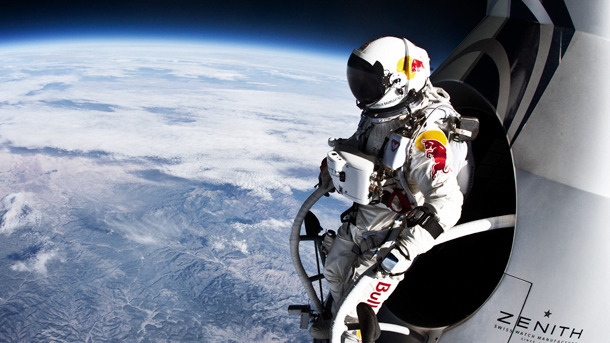 As tired of a cliche “think outside the box” is, imagine the conversation within the halls of Red Bull the day someone suggested having someone parachute from 24 miles above the earth to break the speed of sound unassisted. Most companies would have put that person in the “crazy” corner, or ignored him or her altogether. My amazing wife, Jen, continues to be that much more amazing every day and inspire me on a daily basis. While many people have a hard time in challenging situations, Jen is one of those people who thrives when challenged, personally and professionally, and seeks challenges out. Triathlons are grueling, both physically and mentally, but Jen couldn’t be happier out there training and competing. 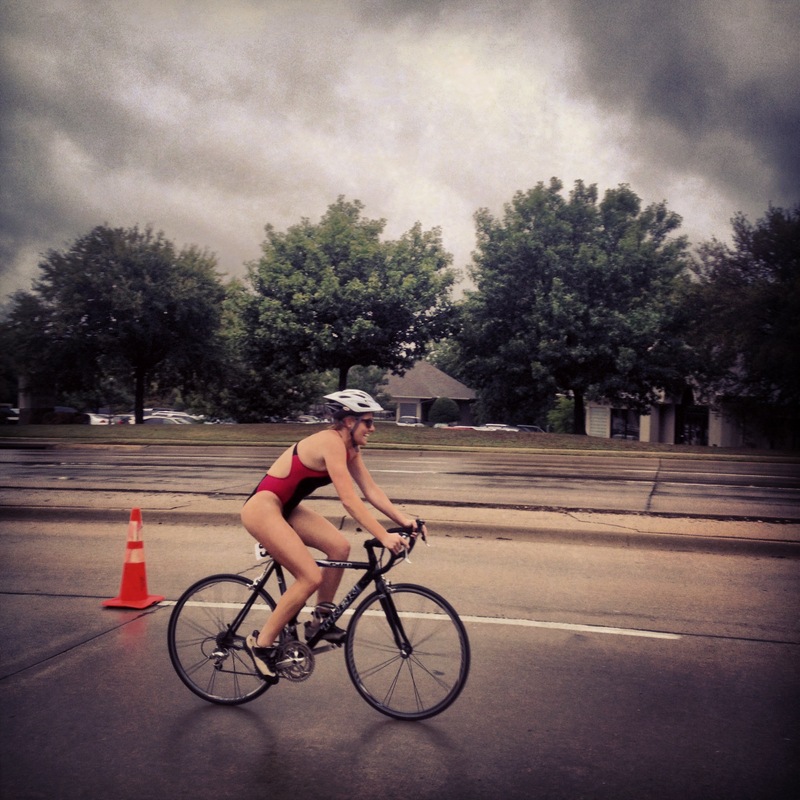 Jen competed at the Stonebridge Playtri Triathlon this weekend in the sprint triathlon event. She was out of the open water swim a full minute ahead of the next fastest woman and about 8 minutes faster than the average time in the event. Not only that, but she got out of the water looking fresh and ready to press on while everyone else seemed to get out thanking their lucky stars they survived the 750 meter open water swim! I started out talking about Jen challenging herself, and clearly, she is a phenomenal swimmer, so what am I talking about here? Two weeks before her first ever triathlon, I was doing drills in the parking lot with Jen teaching her how to ride a bike. Seriously. I watched her topple over several times (she made me stand back and have her do it on her own, I’m not a bad husband, I promise!) 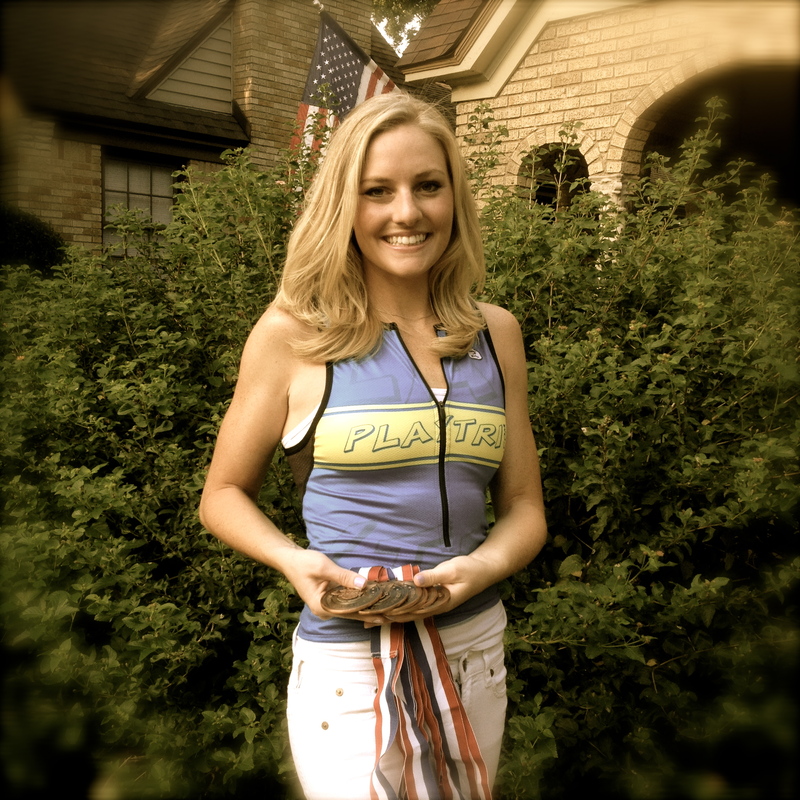 Fast forward to this past weekend, and she won her age division and placed 5th overall in the triathlon! This is a woman who challenges herself… and will not take no for an answer, from others or herself. I’m so proud of my wife. This was her first race, and she’s only going to grow from here, never stopping when it comes to challenging herself. A picture from the race this weekend – with Jen not only doing great on the bike, but smiling!